It is no secret that I enjoy nicely primped nails. It can add some pop of color to any outfit and its a way to give people a quick glance into our personalities. Wether your a classic red wearer or the Van Gogh of nail art we are all able to jump in on the nail polish train. Unfortunately or fortunately for myself not all manicures last forever and if you are like me you are constantly putting polish on and taking it off for your new polish obsession of the moment. With that for me came incredibly dry nails and cuticles and even a little brittle from all of the nail polish remover..sigh. 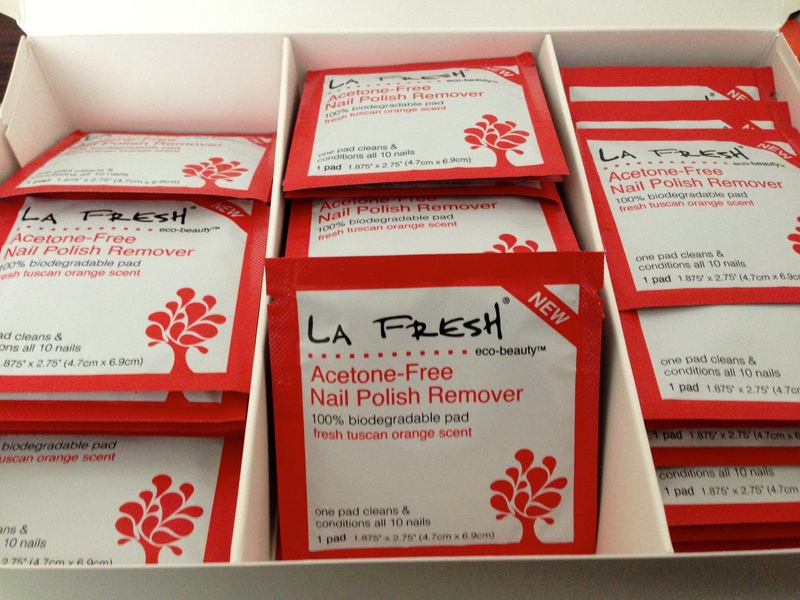 Thankfully for my first ever birchbox about three years ago that brought La Fresh into my life. 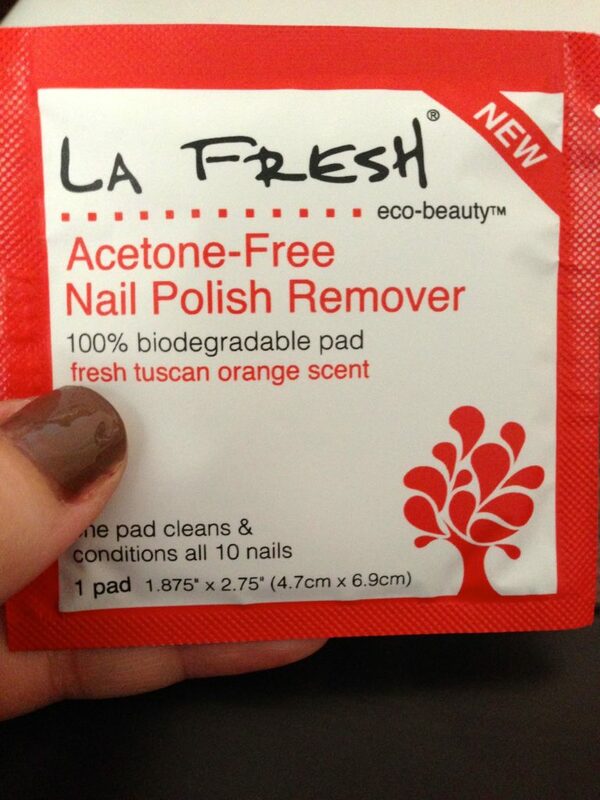 If you have never heard of La Fresh they are a Eco Friendly beauty company that makes that most amazing products and one of my all time favorites are their Acetone Free Nail Polish Removing Wipes ( oh yes acetone free and yes they do actually work!) 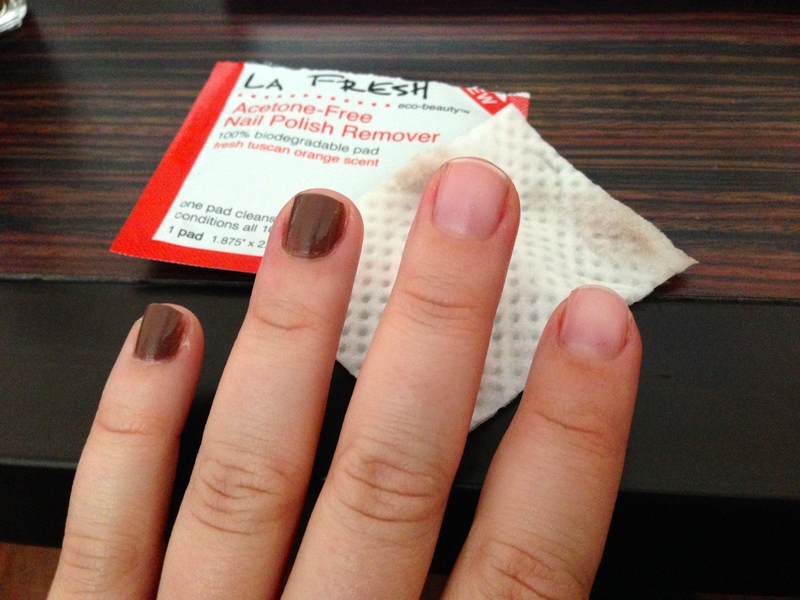 These amazing little wipes will remove all the polish from my hands and feet, depending on what color I am experimenting with and nourishes them all at the same time. The secret behind this little miracle worker is that while the nail polish resolving enzymes are doing their job the Aloe, Glycerin and Vitamin E are moisturizing your nails and rosemary and horsetail extract are strengthening your nails. 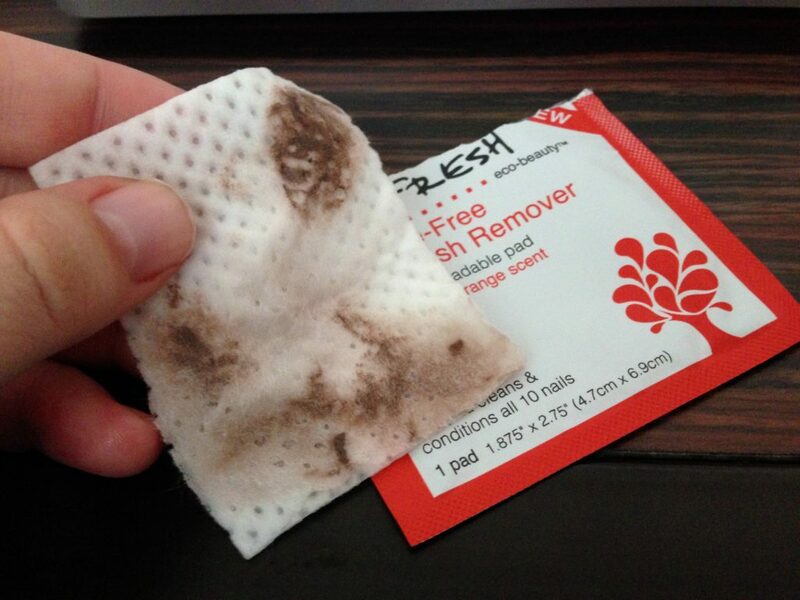 Like I had mentioned I have been using these for about three years now and I have stocked up on these amazing wipes. 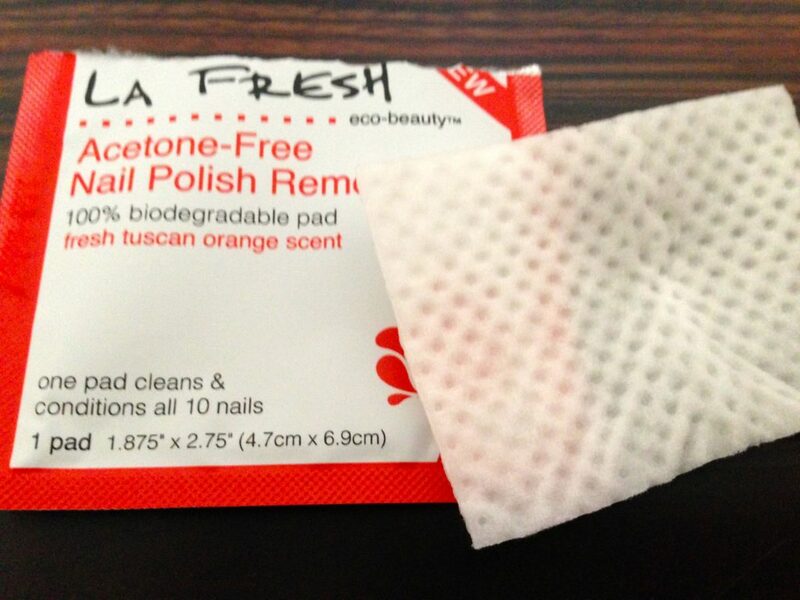 If I haven’t con vied you yet that these are indeed amazing then I should mention that because they do not contain acetone the moment you open the little pouch you instantly feel as if you are in an orange field. Yes no more crazy chemical smell lingering in your bathroom for what seems like hours, instead you may actually find yourself taking just a moment longer removing your polish in order to enjoy the wonderful citrus smell a little longer. You can go to La Fesh’s website to learn more about them and learn more about their amazing ecofriendly products, hope you all enjoyed! !